If you’ve had your share of reptile pets, then you most likely vouch for them any chance you get. Reptile lovers in general claim their loyalty to specific reptile pets. 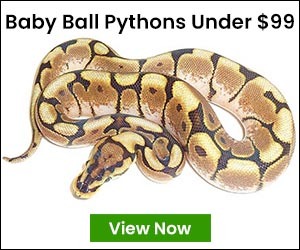 Some prefer to keep it mellow with a boa constrictor while others like the more exotic and intriguing reptiles like chameleons or bearded dragons. Reptiles in the lizard family are just as popular and come in a variety of breeds that range from small and slippery, to large and intimidating. Whatever you prefer, one thing is for sure, each of our reptiles for sale have something to offer. 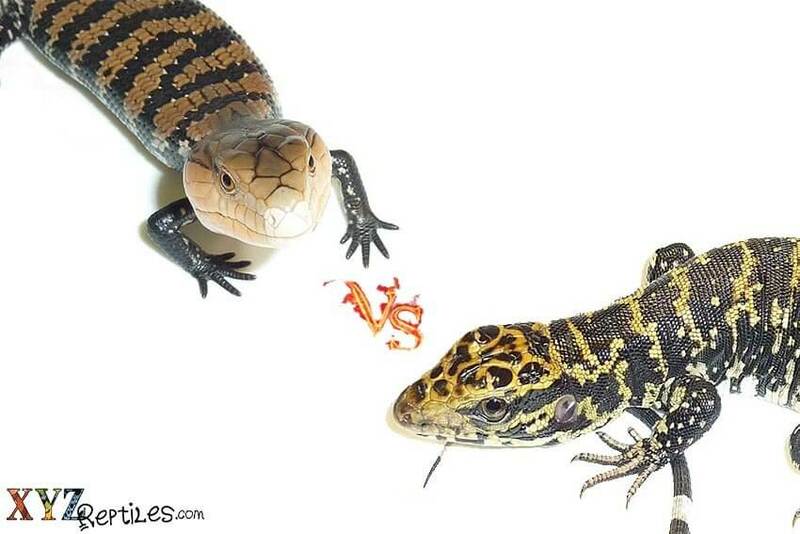 Today, we’re going to briefly compare the Columbian Black and White Tegu and the Irian Jaya Blue Tongue Skink. Skinks are one of the most common reptile pets. Their colored tongues give them a unique edge and they enjoy being handled. This is why skinks are great for beginners who need to practice with handling. It doesn’t come easy to everyone! Aside from that, they love the light. They require daily exposure to direct sunlight and they love to bask. UVB lighting can be utilized to help them get the right type of light they require to ensure they stay healthy. Since we’re talking about enclosures, you’ll want to make sure that they have logs and rocks so they can climb. Consider this their form of exercise! They also like to soak and it would be wise to add a humid box for them to feel safe. As far as diet goes, give them a balance of leafy greens and mixed veggies, and protein. On to the Tegus, don’t be intimidated by their appearance. When cared for properly, they can be as cuddly as a puppy- just watch out for those claws! So, how do you care for one properly? With the Colombian Tegus, specifically, you want to make sure you’re offering the right kinds of food. Insects, like wax worms and cockroaches, dusted with vitamin D3; as well as fruit are all acceptable options. When they reach full-size, you can start introducing adult mice and rats into their diet. They also need a lot of space since they can grow to a substantial size. They’re a lot of work but definitely worth the effort. Both of these types of lizards are known to grow to a large size. So you’ll want to make sure that you have enough space to house them and keep their dietary needs met. If you think you have what it takes to care for either of these reptiles, check them out at our online reptile store. You won’t be sorry. « What Are The Easiest Lizards For Sale To Own?